Some of the first drones were using cameras that were not suitable to shoot scenes in the air. They used wide angle lens that was creating barrel distortion in almost every video. The optical and digital zoom was integrated into camera drones in last years through integrated gimbals. Latest aerial zoom cameras have a 30x optical and 6x digital zoom and a magnification of up to 180x. In order to film, take detailed shots and detect damages in buildings, components and wires some of the renewable energy companies are using in their drones this technology of optical and digital zoom. 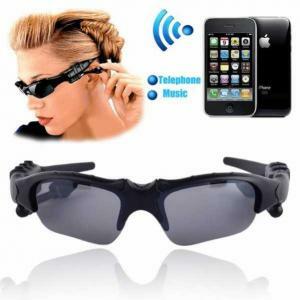 Some of these companies use also a night vision camera and thermal infrared into their camera drones. 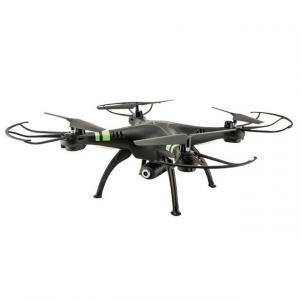 Get into the world of camera drones now at NewTechStore where you can find a large variety of drone with video camera for sale! 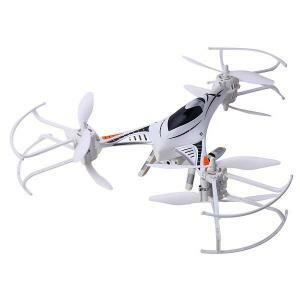 Buy drone with camera online for your kids and your family. 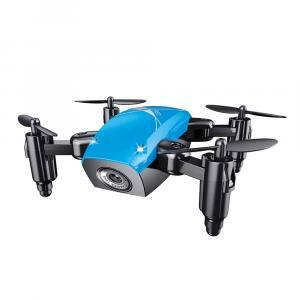 Here you will find best camera drone to buy starting from 0.1 Megapixel going to 12Megapixel. 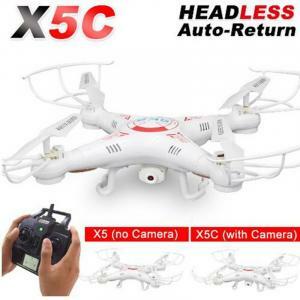 In our website you can find cheap drones with camera for sale but also of quality! In Hollywood some producers and advertising firms use Gimbal technology so as to provide to their films cinematic quality. This technology can capture quality film and photos in the air as well as 3d imagery. Using that technology the director can create unique angles while the camera drone flights by tilting the camera. A new technology is photogrammetry mapping; a drone can be programmed to fly in a specific area and to use autonomous GPS navigation. The drone can take shots and photos they can be used to create 3D images as well as 3d maps and models. Another essential feature of camera drones is to include video software of excellent quality, which will store images information for processing them in the future in the best way. 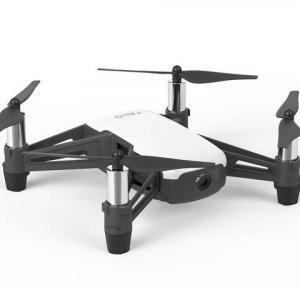 The latest drones use a high performance video camera that can record 4K video and take photos at 12 Megapixel stills that support faster frame rates, extended colors and constant dynamics. 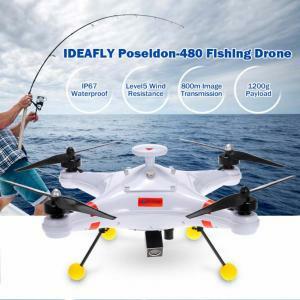 In our website you can buy drone with camera for sale of 4K video. 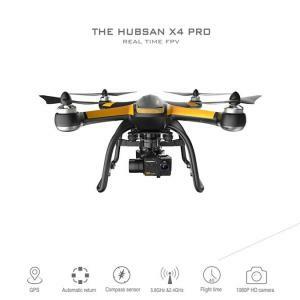 The H109S X4 Pro is a great drone for aerial photography and videography. 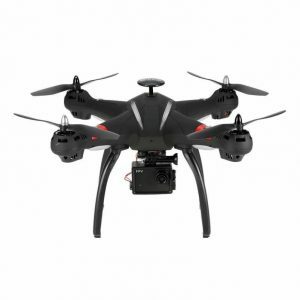 It includes a 1080p HD camera ideal for virtually any application and flight times that run as high as 32 minutes, depending on payload. The Deluxe X4 Pro comes with a 2.4/5.8GHz transceiver that offers precision control of images and flight with the ease of a 7″ touch screen and Android™ operating system. Actual Direction Control, Return to Home and a programmable Waypoints system provide pilots with tools that allow you to focus on creative vision rather than flight control. When it bumps into collission or accident crash, the parachute will automatically pop up to prevent the X4 pro broken. Parachutee can be reassembled /repacked again for many times. €396.80 Tax exc. €297.60 Tax exc. 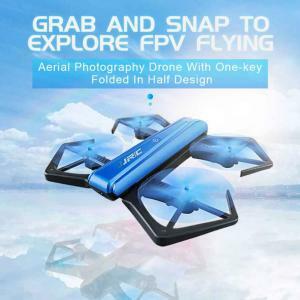 The X53 mini drone features WiFi FPV camera that you can enjoy the live videos as if you were onboard the aircraft instead of just looking at it actually. With altitude hold function, it can hold the height stably when in the air. 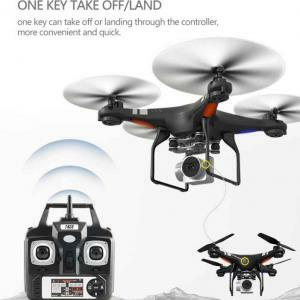 It also features headless mode, one-key take off/landing mode, emergency landing and etc. It is equipped with a 1080P HD Camera with adjustable 270° wide angle, that provides wider horizon, captures detailed and sharp images for you. 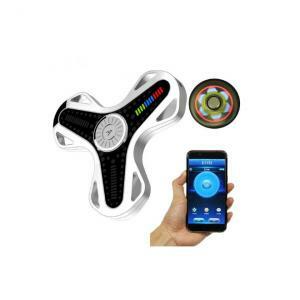 It streams a real-time view from the camera, and lets you see exactly what your camera sees right on your mobile device.You can control the drone via mobile phone app. An intelligent flight mode enables your aircraft to follow the preset path. €55.60 Tax exc. €41.70 Tax exc. The SHR/C SH5HD mini drone features WiFi FPV camera that you can enjoy the live videos as if you were onboard the aircraft instead of just looking at it actually. With altitude hold function, it can hold the height stably when in the air. It also features headless mode, one-key take off/landing mode, emergency landing and etc. 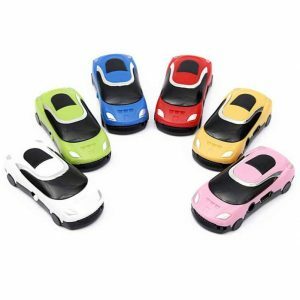 It is equipped with a 1080P HD Camera with adjustable 270° wide angle, that provides wider horizon, captures detailed and sharp images for you. 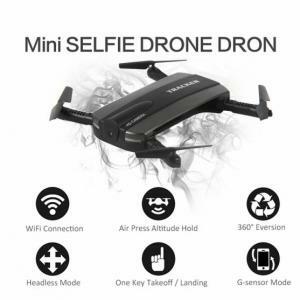 It streams a real-time view from the camera, and lets you see exactly what your camera sees right on your mobile device.You can control the drone via mobile phone app. An intelligent flight mode enables your aircraft to follow the preset path. €60.11 Tax exc. €45.08 Tax exc.